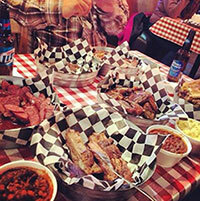 Waller County Line BBQ is some of the finest pit BBQ that you'll find in the state of Texas. 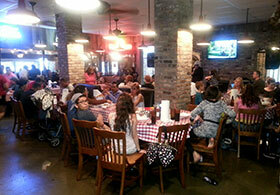 Special care is taken to prepare our brisket on real smokers at just the right temperature. Our ribs and chicken are cooked in the same slow consistent manner that allows the meat to maintain a moist and juicy flavor. Waller County Line sausage is prepared many times throughout the day to assure they are receiving the freshest product available. We also offer an assorted mix of sides including potato salad, cole slaw, and beans, And don't forget about our homemade BBQ sauce which enhances all of our popular meat selections. Give us a try, you'll be glad you did. It's an experience that you won't forget.